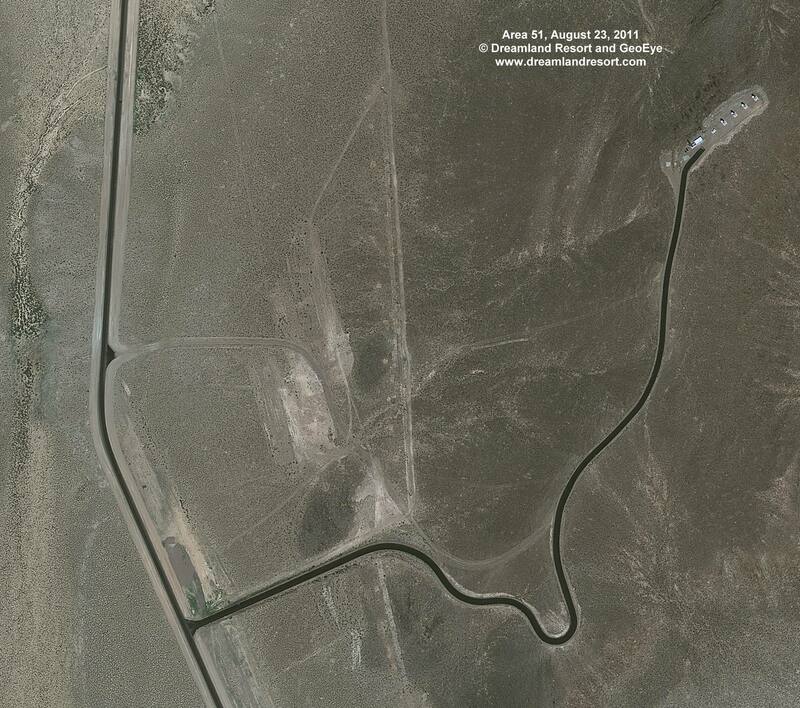 In December 2009 we reported that the visible section of Groom Lake Road inside the boundary had been paved. In August 2010 the Back Gate Road was re-paved, including a section of the road on public land that had been a dirt road before. Not surprisingly the new satellite image shows that some of the access road inside the restricted area have been paved as well. The newly paved roads include Groom Lake Road, the Backgate Road, the road to the engine test cells on the far south end of the base and the access road to a fairly new radio site on a hill on the north-west side of Groom Lake, which is shown in this clip. We discovered the new site on June 1st, 2008, but we still do not know much about it.